The Starna DNACON Reference can be used for quality control and assurance of nucleic acid purity measurements using the 260/280 nm ratio method. 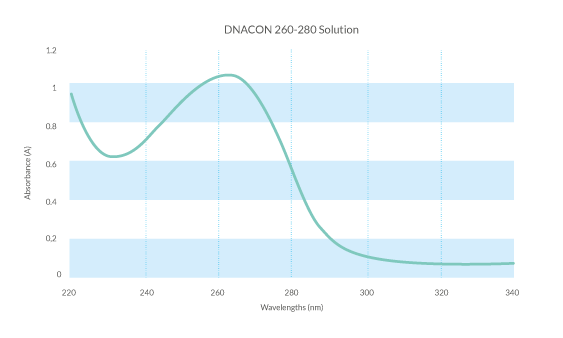 The ratio of the UV absorbance values at 260 nm and 280 nm is an important method for determining the purity of nucleic acid preparations, but validation actual DNA solutions is unreliable as such solutions are difficult to produce and inherently unstable. The DNACON reference from Starna was developed as a reliable, stable and NIST traceable reference material for the validation of this method. The reference consists of a solution of a synthetic material whose spectral characteristics closely mimic those of DNA, permanently heat-sealed in a far-UV quartz cell. 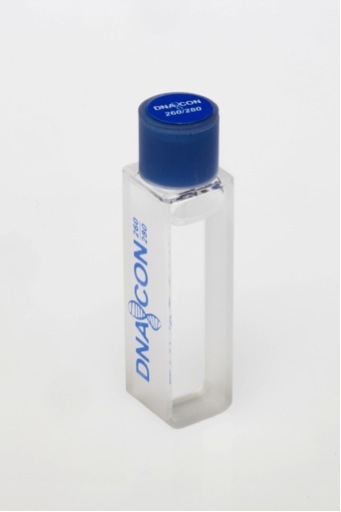 By replicating an actual DNA sample, DNACON gives a reliable direct indication of the quality of the overall measurement process.